Spider-Man throw combos from Xero18 have arrived. Head inside to see Spidey in action. 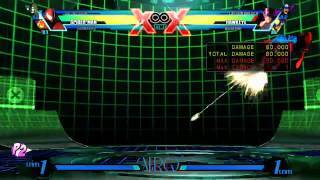 Xero18 has posted new Ultimate Marvel vs. Capcom 3 Spider-Man throw combos. With the help of Doctor Doom and Dormammu, Spider-Man is able to do substantial damage. Quick Pic: PS4 release date revealed?